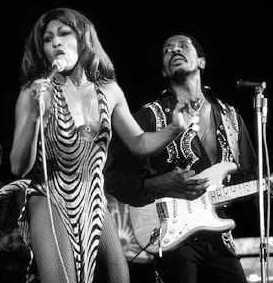 IKE TURNER (Izear Wister Turner) Died 12-12-2007 in San Marcos, CA (R&B/Blues/ Soul/Rock/ Funk), born 11-5-1931 in Clarksdale, MS. Producer, pianist, guitarist and singer Turner was a member of The Kings Of Rhythm and The Ike And Tina Turner Revue (They did, “Nutbush City Limits” and “Proud Mary”). He played on Jackie Brenston & His Delta Cats’, “Rocket 88” considered by many to be the first Rock & Roll record. Worked with Sonny Boy Williamson II, Howlin’ Wolf, Elmore James, Robert Nighthawk, Buddy Guy and Otis Rush. Blues Hall Of Fame Inductee and Rock And Roll Hall Of Fame Inductee. BARBARA SALISBURY - Died 11/2007 in Lowestoft, England of a stroke. She was 57 or 58 years old and born in Taunton, Somerset. She was publicist for The Village People and Def Leppard. REV. BRUCE HOLCOMBE (Bruce Allen Holcombe) Died 11-28-2007 in Savanna, GA, 56, from injuries while working at a Church (Gospel) Singer and songwriter, led The Holcombes. JIM NESBITT (King of Country Comedy) Died 11-29-2007 in South Carolina of Congestive heart failure (Country), born 12-1-1931 and was the singer, guitarist and comedian who wrote “Looking For More In ‘64” and “Please Mr. Kennedy”. RALPH EZELL Died 11-30-2007 in Pickstown, SD, of a heart attack at age 54. Born in Newton, County. Bassist who worked with George Jones, Tammy Wynette, Marty Stuart, Mac Davis, Jerry Reed, The Osmonds, Allison Krauss, Johnny Paycheck and also worked at FAME studios as a staff engineer and studio manager. ZAYDA PENA (Zayda Pena Arjona) Died 12-1-2007 in Matamoros, Mexico. She was shot to death in her hospital bed after she was wounded in a shooting at a hotel several hours earlier. The singer was a member of Zayda y los Culpables. JUSTIN BONFIGT Died 11-18-2007, 27, rock promoter from Green Bay, WI, was a sound tech for the band, Fine Line and worked for XXL Sound & Light, also owned Icon Entertainment. SERGIO GOMEZ Found dead 12-3-2007 near Morelia, Mexico, he had been kidnapped and strangled. Singer of K-Paz de la Sierra. MEL CHEREN (The Godfather Of Disco) Died 12-7-2007, 74, co-founded West End Records which released recordings by Karen Young, The Bombers, Taana Gardner, Raw Silk, NYC Peech Boys and Loose Joints. Worked for ABC/Paramount Records and Scepter Records, The Mamas And The Papas, Three Dog Night and Richard Harris. BILLIE LOWERY Died 12-8-2007 of complications of cancer and diabetes, 84, music publisher who co-founded The Lowery Music Group which had a catalog of 7,000 songs including “Be-Bop-a-Lula”, “(I Never Promised You A) Rose Garden”, “Games People Play” and “I Love The Nightlife”. FLOYD RED CROW WESTERMAN (aka Floyd Crow Westerman) Died 12-13-2007 in Los Angeles of an illness (Country), born 1936 on the Lake Traverse Reservation in South Dakota, singer, actor and activist. Worked with Joni Mitchell, Jackson Browne, Willie Nelson, Buffy Sainte-Marie, Harry Belafonte, Sting and Kris Kristofferson. Appeared in the movies, The Doors, Poltergeist and Dances With Wolves. SWEET LOUIE SMITH (Marvin Smith) Died 12-15-2007 on a cruise ship in the Caribbean at 68 (R&B).Half of the duo, The Checkmates Worked with with Frank Sinatra and Herb Alpert, a Las Vegas Hall of Fame Inductee. DAN FOGELBERG (Daniel Grayling Fogelberg) Died 12-16-2007 in Maine, 56, prostate cancer (Pop - Rock - Bluegrass) Singer, songwriter, guitarist and pianist, had several gold albums through the seventies and eighties..
JERRY MCEWEN (Jerry J. McEwen) Died 12-18-2007 in Nashville, TN, 54, stabbed while trying to stop a purse snatcher (R&B/Country). Guitarist who worked with The Everly Brothers, John Prine, Johnny Cash, Crystal Gayle, George Jones, John Sebastian and Odetta. DAMIEN MORRIS (aka Damo Morris) - Died 12-19-2007 in Moonee Beach, Australia, 27, van he was in hit a tree (Metal), singer of Red Shore. ANDY MILNER Died 12-19-2007 in Moonee Beach, Australia, 22, van he was in hit a tree. Road manager for Red Shore. DONALD YOUNG Died 12-23-2007 at 47 in Chicago, Il by gunshot. Choir director.